Far, far better than it appears in the photo. 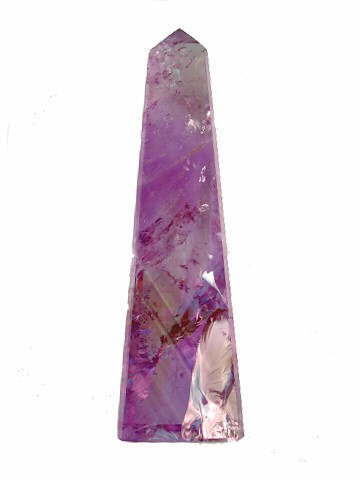 This gorgeous combination-crystal is an exquisite, vibrant, violet colour (not red-blue as it looks in the picture). It is very clear with a soft splash of Citrine in the middle and has two large light-bearing rainbows.